When we got our first box from Abundant Harvest Organics last November, we were headed into the long winter months. Lots of citrus and greens, lots of root vegetables, and LOTS of tubers. One other thing there was lots of was broccoli. I thought I remembered there being a few weeks in a row where I got 8 or more heads of broccoli in my box. Then I thought surely I was mistaken. Eight heads? That's pretty ridiculous. Still, I knew it was coming, and whether my memory was making a mountain our of a molehill or not, we would soon be getting at least a molehill of broccoli soon. 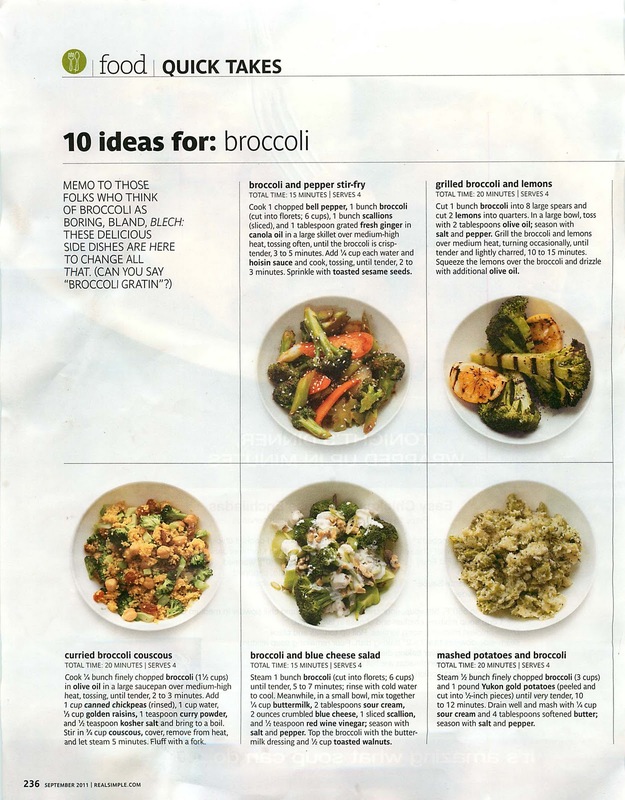 So, when the September issue of Real Simple magazine had a two-page spread called "10 Ideas For: Broccoli" I was sure to keep it. If you don't get the magazine, this is a regular monthly feature. It always highlights one common food (chicken breasts, ground beef, tortillas, cupcakes) and provides 10 quick recipes using that ingredient. In September, they chose broccoli. And as it turns out, my memory was not faulty. I did remember a mountain of broccoli. I indeed got eight heads of broccoli last week and another 7 this week. Oy vey. 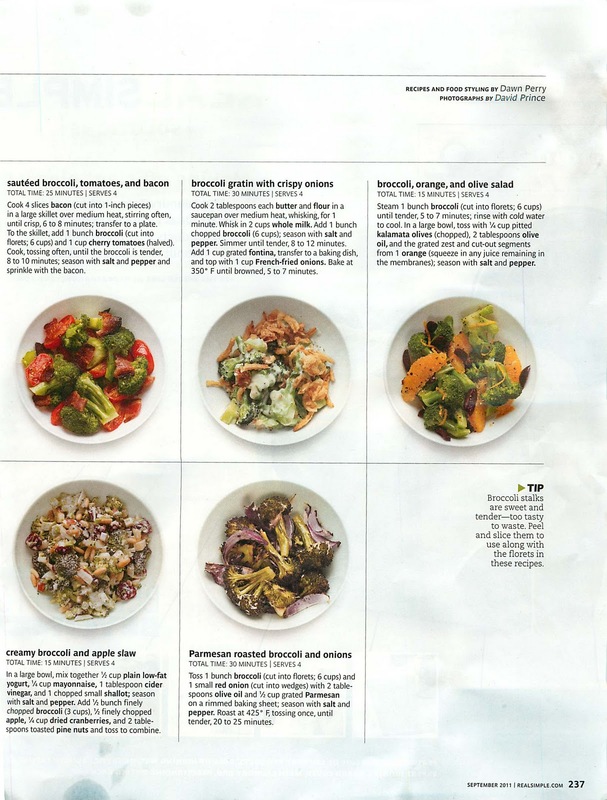 I decided I would try all of Real Simple's suggestions. After all, I certainly have enough broccoli to go around! The question is, which of these ideas will I like enough to use again with my remaining 5 heads? And which will end up in the round file? I thought this was kind of a stretch. 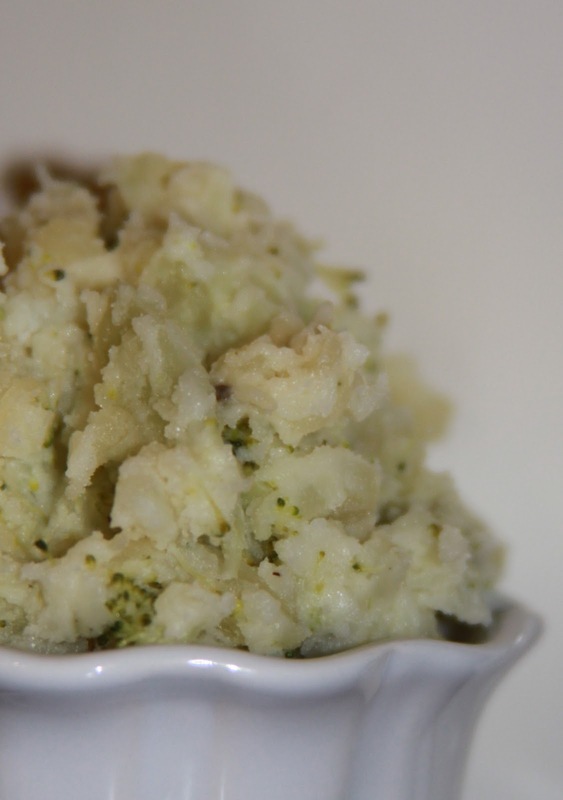 Why make "Mashed Potatoes and Broccoli" when you could just make mashed potatoes and broccoli? It seemed like a pretty weak tenth idea. I have to admit, though, I was wrong. This is one instance where the sum is more than the parts. The broccoli gives the potatoes an almost creamier texture, and together they taste great! (However, I have to admit my kids would rather have eaten the broccoli and mashed potatoes separately). Steam 1/2 bunch finely chopped broccoli (3 cups) and 1 pound Yukon Gold potatoes (peeled and cut into 1/2-inch pieces) until very tender, 10 to 12 minutes. 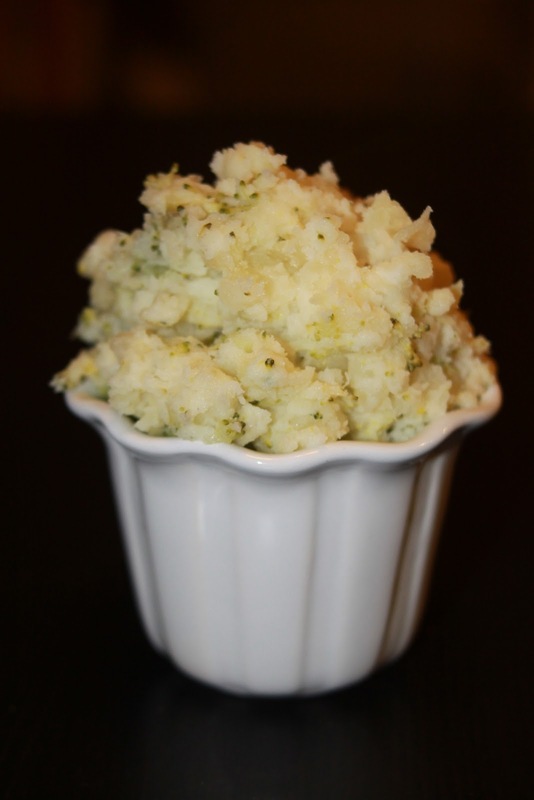 Drain well and mash with 1/4 cup sour cream and 4 tablespoons softened butter; season with salt and pepper. This one really impressed me and will definitely become a part of the regular rotation. 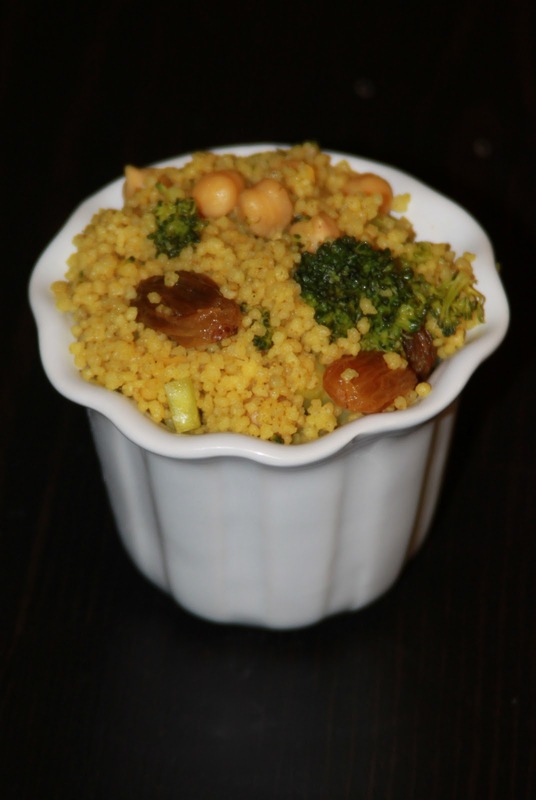 My kids liked the sweetness of the curry powder and raisins, and I like the healthy factor, and the fact that it is super easy to put together. This could be a main dish for lunch, or a side dish with dinner. 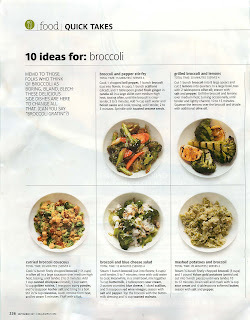 However, it only uses 1/4 bunch of broccoli, which hardly puts a dent in my fridge. Cook 1/4 bunch finely chopped broccoli (1 1/2 cups) in olive oil in a large saucepan over medium-high heat, tossing, until tender, 2 to 3 minutes. Add 1 cup canned chickpeas (rinsed), 1 cup after, 1/3 cup golden raisins, 1 teaspoons curry powder, and 1/2 teaspoon kosher salt and bring to a boil. Stir in 3/4 cup couscous, cover, remove from heat, and let steam for 5 minutes. Fluff with a fork.